It is kind of odd how the one thing, obsolescence, that Leica rf cameras- from the earliest Barnack models to current digital models- defy better than other makes/models is also a thing that must be engendered in order to keep the company afloat. I do, stupidly, participate. I suppose, as far as afflictions go, it could be worse. But the fact is, in use, about the same level of joy exists in the Leica II and the M-D. Status and fashion considerations notwithstanding. In effect, you’re confirming my old theory of the problems that face camera manufacturers today: too much innovation has led to an unreliable appetite for innovation per se. In film days, I ran the gamut of Nikons from F to F4s. I only bought a new body when I’d worn out the old ones, or, in the case of the FM/FM2 range, simply in order to provide a higher flash synch. for those rare times that the job required it. That way, a case with two top bodies plus a cheapo one for flash, and I was set to go. The cameras themselves had very minor changes, model to model, until the advent of the electrically powered shutter of the F3. The F4 was a mini-computer, and I actually bought mine becaue I thought the F3 had been abandoned. A brief tenure of that F4, coupled with the late realisation that I could still buy a new F3 took me that step backwards to comfort, a camera that actually loaded the first time, each time, unlike the F4 that caused me no end of embarrassment with each new film I tried to feed into it. Folks really shouldn’t try to fix what ain’t broke! Come digital, and being retired, I find that my old D200 and D700 give me all I can see myself needing. I feel absolutely no wish to ‘upgrade’ – what on Earth for? So, with so many versions of cameras on all the manufacturer’s lists, no wonder they find themselves overstocked (generally) and not selling enough volume. They have to rationalise; they need to get realistic and decide their segment of the market. Leica did that when it stuck with the M range, and the venture into the R bodies – at least until the R6, at which point I stopped looking – failed to meet my expectations because those bodies, unlike the Nikon F upwards, didn’t offer 100% viewfinder coverage, which when doing commercial work on 135 format, was an essential. Whether Leica is now producing too many different cameras today, too, is anyone’s guess, but as they appear to have appeal to a rather different market, perhaps it will help rather than hider them. I wish ’em well. I bought my M8 almost 7 years ago, followed by the M9 a year later and the M Monochrom when it first came out. 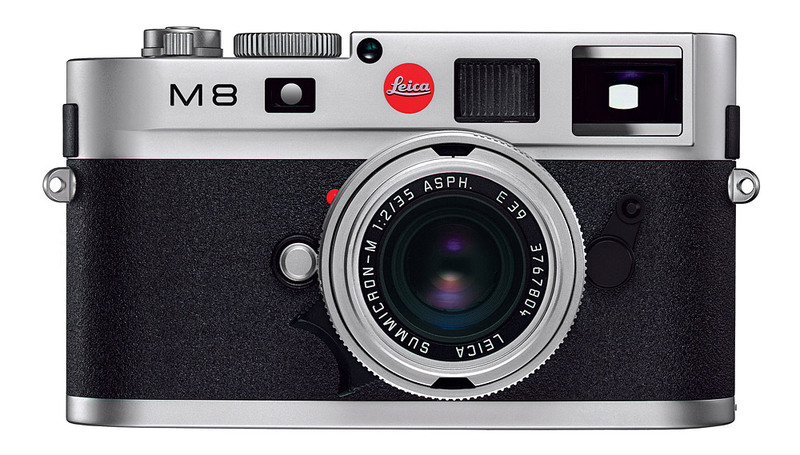 Leica should have used uncompressed DNG for the M8, rather than the 8-bit images that it stores. The compression scheme introduces the color banding that plagued the images at High-ISO. Using the “Button Dance” and M8RAW2DNG gives ~1.5stops of improvement, makes the M8 images very close to the M9 at higher ISO. Having manual lens selection as with the M9 and M Monochrom would also be nice, but is not as critical with the crop sensor. The CCD used in the M8 has 3dB higher dynamic range then that used in the M9, my speculation being that the M9 CCD required more “thinning” to achieve full-frame. The M8 is my favorite camera to use with hacked lenses and with Infrared. Use an Orange filter, Blue channel gets IR only. Boost the Blue channel to that of green and red, leaves you with an image similar to Infrared Ektachrome. Use M8RAW2DNG to allow boosting the Blue channel. Great posting. Thank you for the insightful commentary. Looking back at film gear, manufacturers added features to entice us to upgrade, but at least we knew that the image quality was only affected by the lens, the film and the processing and printing, with the camera only affecting the equation through malfunction or poor design such as light leaks or a less-than-flat film plane. Today with sensors and computer processing (in and out of camera), we can replace film with sensor and processing and printing with in camera processing and printing with post processing (and printing). Your M8 or my M-E compared to a newer M240 is like choosing Tri-X over Delta 400, which is technically “better”, but not necessarily what you want. I still shoot film, and of course my film bodies are old. For digital its the same calculation. Sure the M240 has better specifications than the M9, and maybe some will prefer the end results, but I see no need to upgrade. I also shoot a Canon 5D3 that is now four-years-old and was just replaced with a newer model that I have no interest in buying. I bought a used M8 four years ago, coming from a Nikon DSLR, and never looked back. The M8 and its CCD sensor, coupled to a Zeiss 21/4.5, processing via Aperture and finally Silver Efex Pro 2 produce stunning B&W images that impress with an almost cinematographic presence and depth. The M8 is good up to 640 ISO, which may seem silly by today’s standards, but it’s more than enough. In available light conditions and with the ‘slow’ 21/4.5 I regularly end up with shutter speeds in 1/30th, 1/15th and, yes, 1/8th of a second territory. No sweat, the M8 can take it, as long as you’ve got a steady enough hand. The M8 is the ultimate reportage/candid/stealth photographic tool and at current prices it clearly is a best buy for anyone looking to get into Leica-M digital photography. Great post concerning the philosophy behind marketing and perceived value. 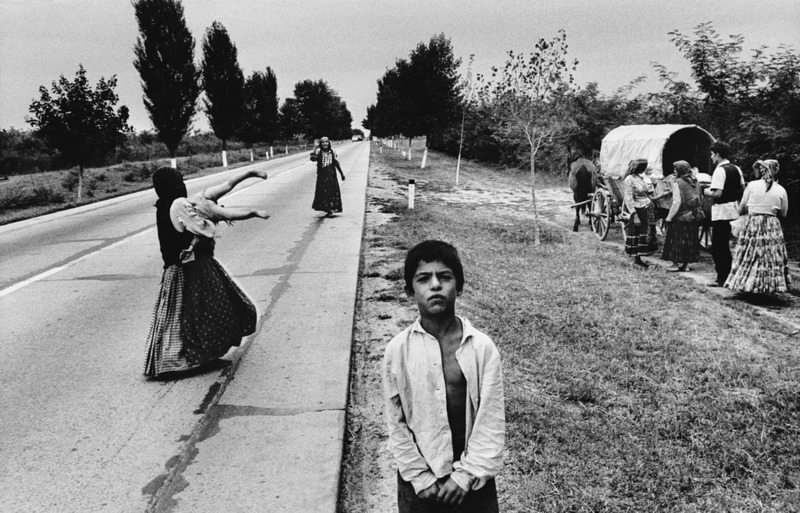 One of the best Leica articles I’ve read concerning personal choice and vision. I appreciated your professional insights into the technical specifics. I love your astute comments on the Josef image. They have somewhat redeemed themselves by producing the MA. Can you imagine the discussion that when on in the Leica corporate boardroom when that was proposed. Well, in the old days Leitz was most certainly a company about technological superiority; mechanically as well as optically – and as a result they produced camera’s that were functional and aesthetically simple. Leitz, after all, started out as manufacturers of optical equipment (microscopes) and as such were the main rivals of Zeiss. They knew a thing or two about manufacturing to mechanical tolerances right down to micrometer level. Tolerances that in certain respects equaled those of the Swiss watch-making industry. The Leitz design team, Oskar Barnack / Max Berek, stands out as arguably THE best one-two punch in all of (mechanical) camera/optics history. It was the introduction of camera electronics in the 1970’s that posed a major problem for Leitz. The people at Wetzlar simply lacked the engineering expertise in this field, as everything up until that point had been of a mechanical nature. And Leitz wasn’t particularly quick to innovate – considering the conservative design philosophy they had always embraced. Enter Minolta’s collaboration with Leitz to try and play catch-up with the Japanese. Fast-forward to 2006 – same problem. This time it’s the lack of expertise in digital electronics and software that almost did the Traditionsmarke from Solms in. With, lucky for us, the emphasis on “almost”.